Its a well known fact that Manta hugs will cure all types of sadness! 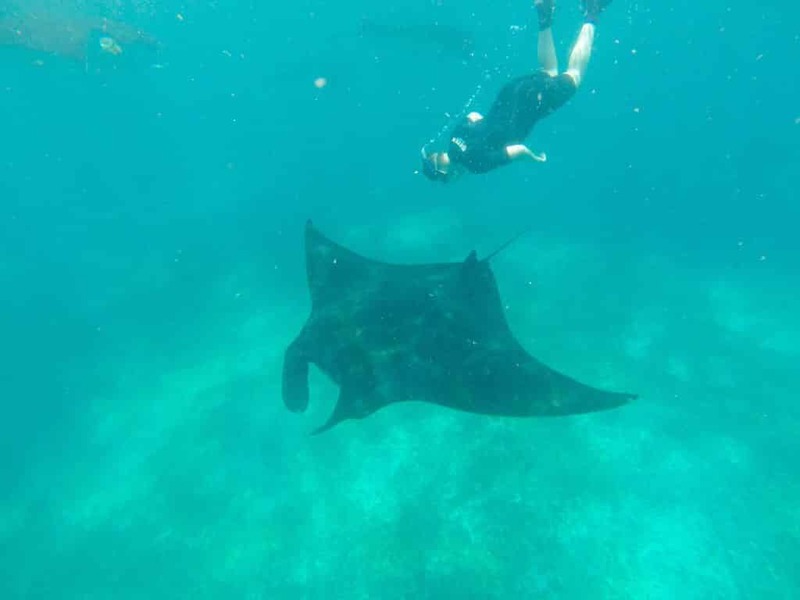 Yes, it finally happened – I still can’t believe it but I swum with MANTA RAYS! Anyone who knows me personally knows that this has been a massive goal of mine ever since I heard about these majestic creatures (science has just proven they have self awareness) … I have been so addicted I was practically planning my world travels around where to dive with Manta Rays! 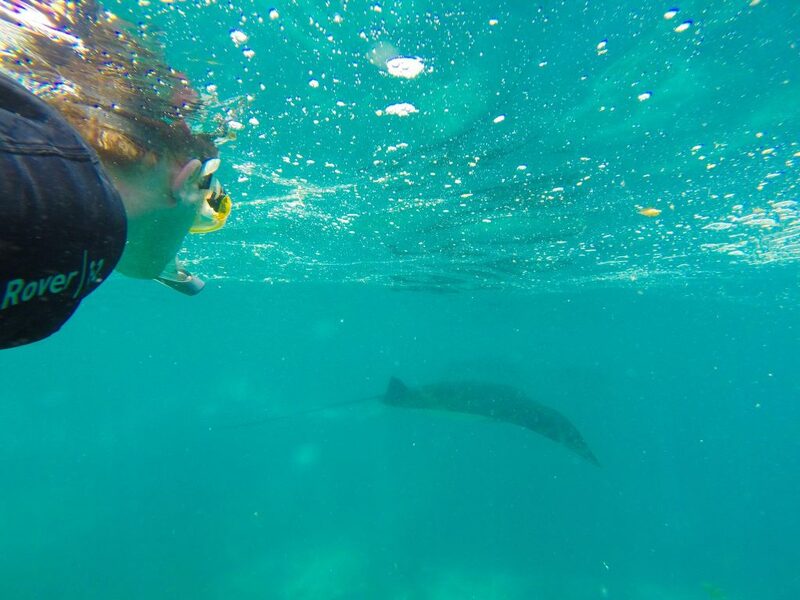 But before I tell you about swimming with manta rays at Manta Point in the Komodo Islands I feel I need to provide a bit of context…. I mean really – So gorgeous, so poised, so graceful! My spirit animal for sure! 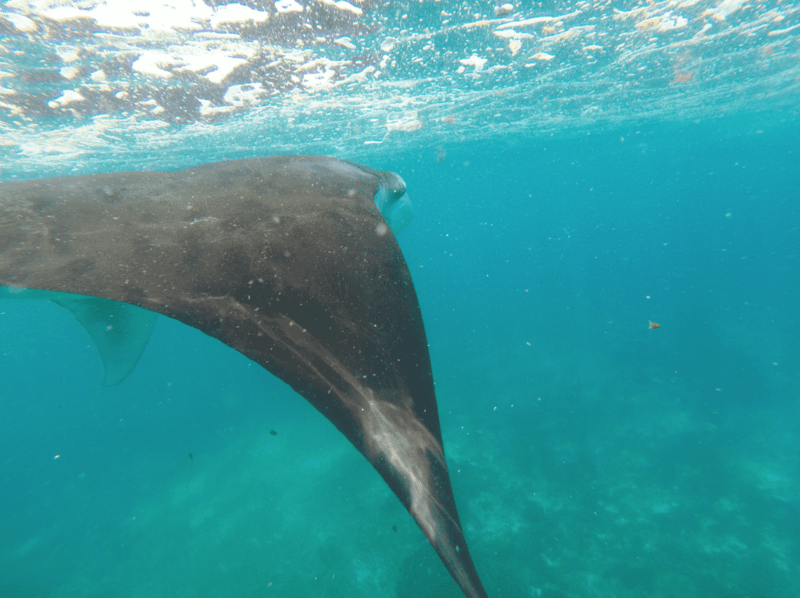 How I Finally Ended Up Swimming With Manta Rays At Manta Point Komodo Island in Indonesia! We got a whale shark instead… Honestly not going to complain! This fella spent a solid 30 mins with us – insane! I was beginning to realise how elusive these crafty Manta’s were – but no worries, they would be worth it, I told myself. A friend swears he has seen them breaching in New Zealand while out fishing but a dive in the Poor Knights off NZ’s coast in ’14 reached the expected ‘no sightings’ result…. After all I had never seen them my whole life on the water in NZ. I had to go further afield! On my trip to the Galapagos in November ’15 I was able to fit in two dives off Kicker Rock and again I was so, so excited …Could this be the chance?! Our first dive went straight down through a school of Eagle Rays and I was breathlessly excited, staring out intently into that deep blue … looking, waiting. I was so intent that I almost missed the streamlined sea-lion that came barreling towards me – narrowly missing me on his search for food! It was an incredible dive and I forced myself to look away from the blue, trusting if they were there I would see them. The dive ended and we came up and the guys who had been snorkelling were screaming about a manta. 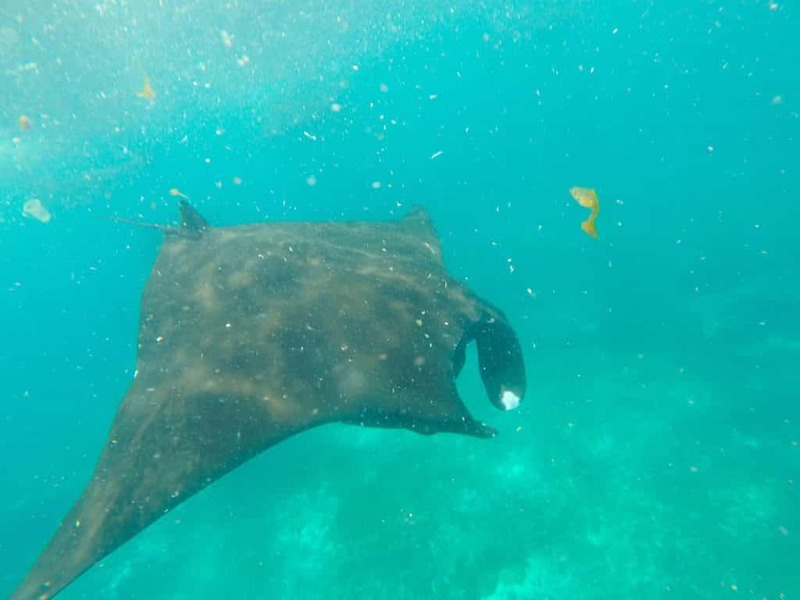 My heart dropped as I thought I had missed it, but it turns out (as I have found over the years) that most people cannot tell the difference between a eagle ray and a manta ray, or a sting ray for that matter! Our second dive yielded a huge school of hammer heads so was hard to be disappointed with yet again – no manta. 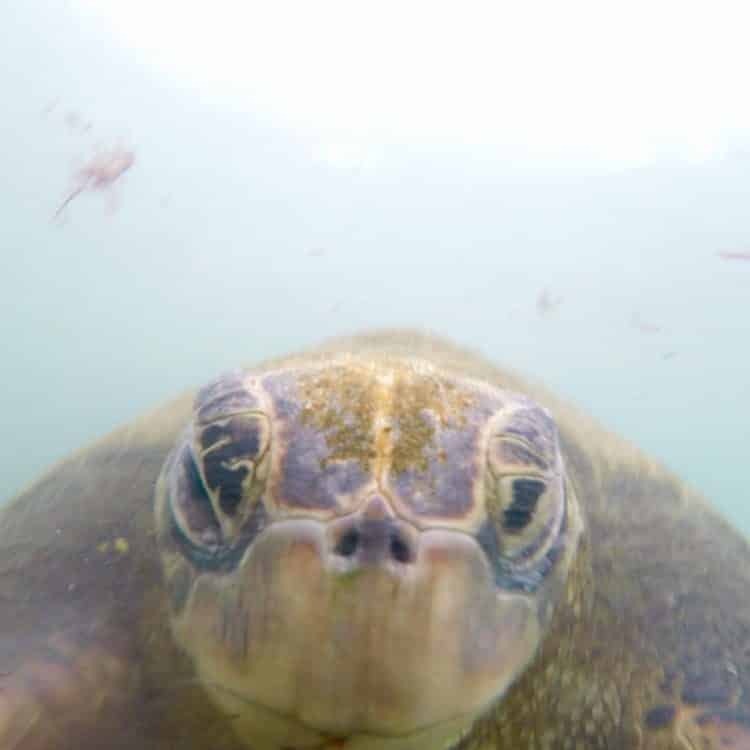 I mean honestly…When you have turtles out the wazoo, and they love a good selfie how can you be disappointed! Off Isabella Island later we were in a boat in rough waters and I spotted this weird shape rolling around in the water, doing backflips …Could it be? Was it possible..YES! YES! There were Manta here, feeding off the upwelling of nutrient filled cold water in this deep ocean. We got closer but they were below the surface and we could only spot from a distance rolling – They were huge. 5m+ across and gorgeous, but the water was too rough and dangerous to get in with them. 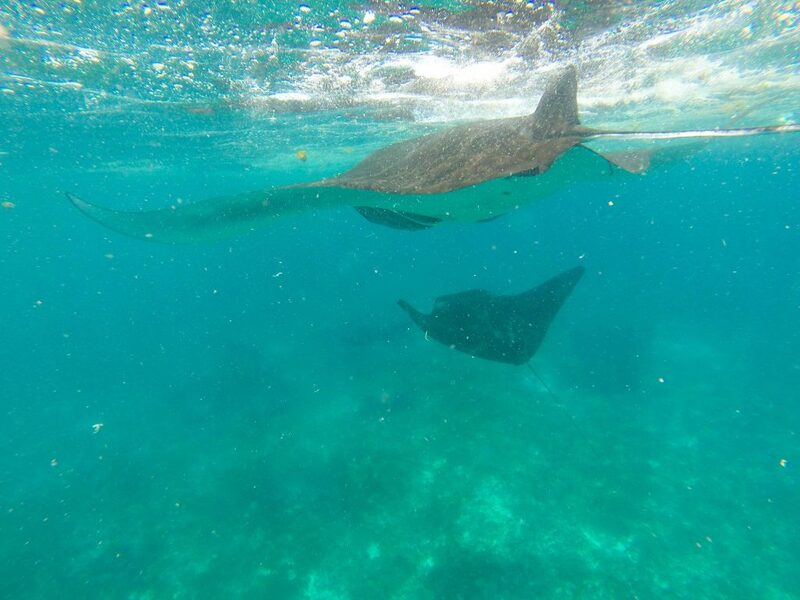 Add the Galapagos to any list of where to dive with manta rays! I had my first taste, but my dream was unfulfilled – but I still refused to cheat and resort to a artificial Manta Ray night dive in Kona. 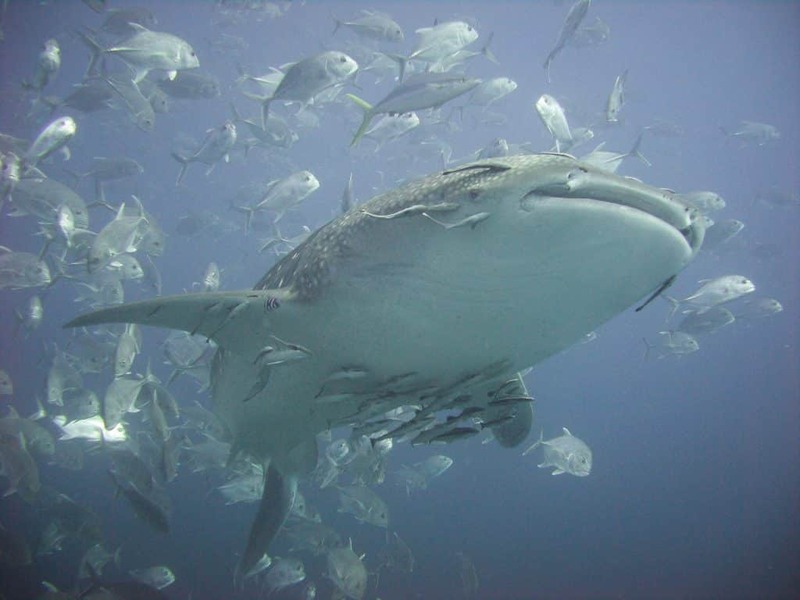 Check out this post on the Best Dive Sites in the World…That I’ve Been To! This convinced me finally to wage an all out assault to achieve my dream – My new years resolution for 2016 was set. I will swim amongst Manta . This ends now. So when I was back home, I once again furiously googled where to dive with manta rays and then I organised a trip to the Komodo Islands in Indonesia for March and as a back up Pulau Sipadan in Malay Borneo for April…Both well known Manta sighting locations in South East Asia with year round presence. I was set…. Ijen Blue Lava Tour: An Out of this World Adventure! No amount of superlatives could accurately describe the sheer awesomeness of the Komodo Islands – easily one of my favourite places in the world, and absolutely stunning both above and below the water! 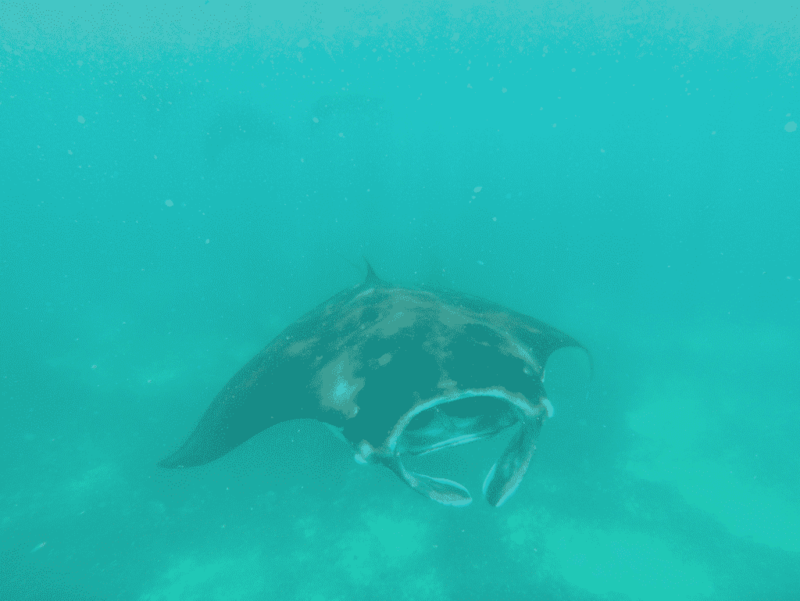 They are famed for the Komodo Dragon first and foremost, but I was more interested in what was below the ocean – Some of the worlds best diving, incredible diversity, and gorgeous beaches but the main thing was Mantas!! Finally!! On our third dive from our semi-Komodo live-aboard , a drift dive at Manta Point, we saw a glimpse of one gliding by, only for a few seconds until it escaped into the darkness… The dive site was otherwise rather mundane so I couldn’t help feel disappointed after my incredible experience with a whale shark and all this waiting. I was in awe, but also let down. Luckily its a well known fact that Manta hugs will cure all types of sadness! I needn’t have felt this way however, as when we returned the next day, before the boat had even stopped we could see manta’s along the surface all around us. We couldn’t dive as we had a flight the next day but it was actually better this way as we grabbed our snorkels and dived in. I was swimming crazily back and forward at first, with and against the current, as our boat crew screamed where they were. I swam almost right into the first one, then another, then suddenly they were all around us… It was absolutely mind-blowing! Better than I could ever have imagined…They came so close and fast I accidentally touched them a few times, if you did a 360 spin in the water they were just everywhere…10+ in view at one time, but I would guesstimate at least 30 total. So where is the best place to see manta rays? 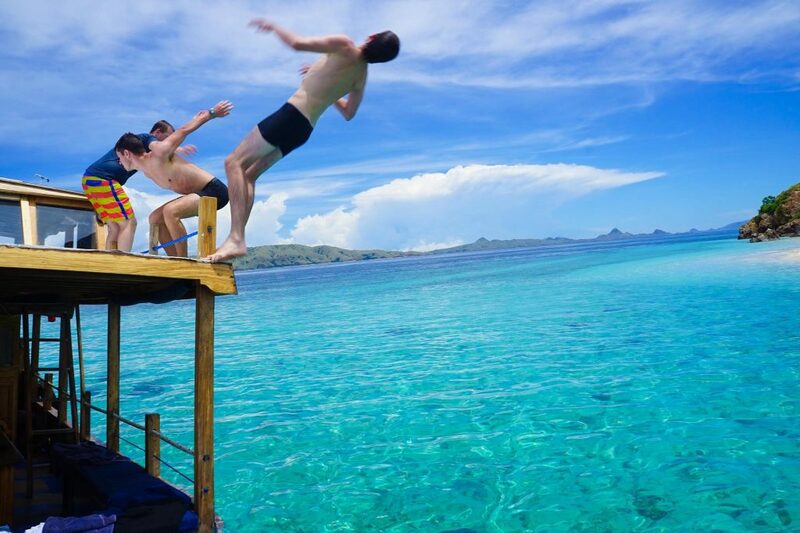 ?… Manta Point Komodo Islands on a Komodo Liveaboard course! 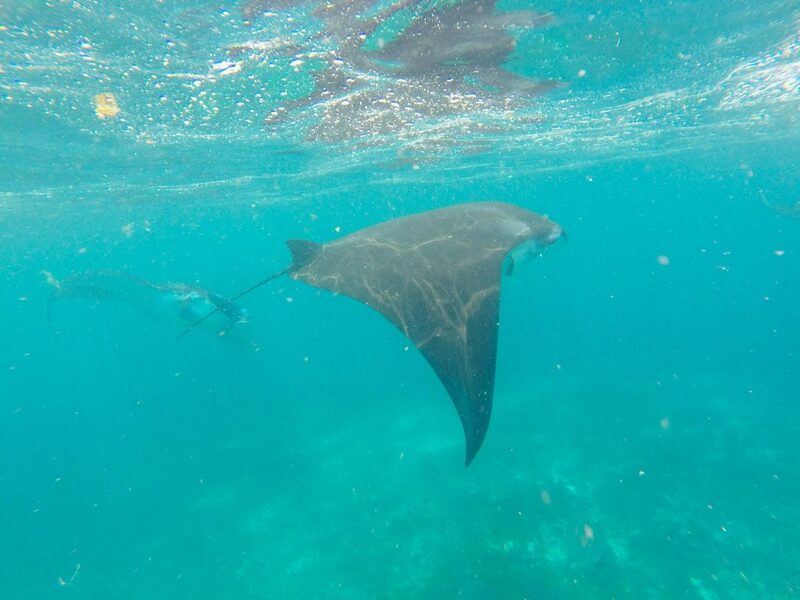 There I was…Middle of the Ocean in Komodo Islands (a UNESCO site), with only our group of 6…being KING OF THE MANTAS!! They were so graceful, darting and diving beneath the waves, just chilling. They were not threatened by us in the least, intact they were curious as they seems to envelope us. I was in love. I couldn’t pull myself away and I had to keep diving down to be with him…We saw lines of them waiting at cleaning stations below, so orderly and majestic. It was really just one of the best moments of my life. We swam and dived down with them for about 30 mins and then they started to thin out and disappear which was good timing …Other boats were starting to arrive and I had been stung by at least half a dozen jelly fish. As I watched the last one fade into the deep blue, I felt changed. Complete. Happy. 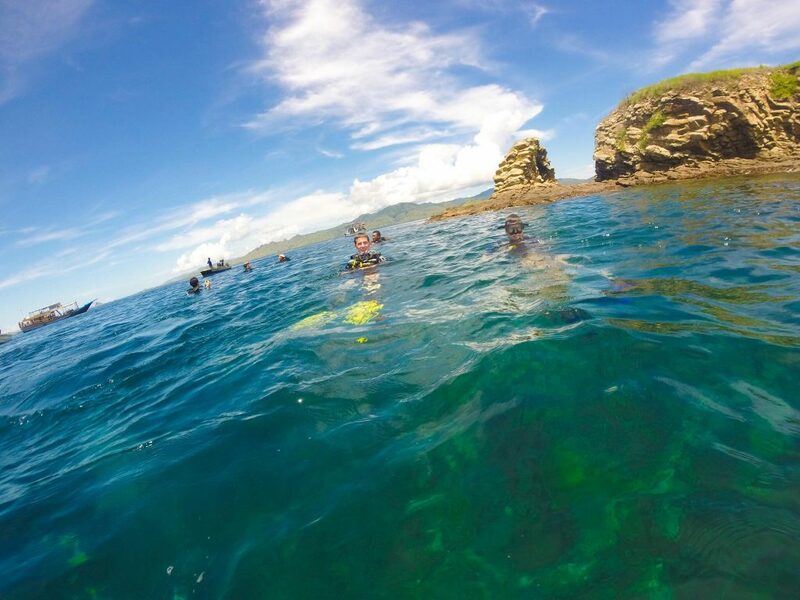 No longer questioning where to dive with manta rays, but when to do it again! I now have to think of a new goal for diving. After seeing whale sharks, being in a barracuda school, hammerheads, turtles, sealions and now mantas I feel complete. But there is still much more – Humpback Whales in Tonga, Nautiluses in Palau, Sun Fish in Philippines…and then there is all the macro stuff! And rest assured I will still be looking out to the blue in Pulau Sipadan this month for a glimpse of my manta family …..
UPDATE: You can now read all about my time at Sipidan here…I would no put it high on my list of where to dive with manta rays but still plenty of other cool critters to check out! Or you can read a guest post with a first person perspective on diving the Komodo Islands!